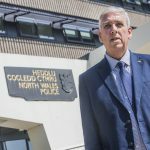 Cost of policing due to increase by 38p a week for average household in North Wales | News by Wales Express News, People Before Profit! A police boss has unveiled plans for a 38p-a-week increase in the cost of policing in North Wales – less than the price of a packet of chewing gum. 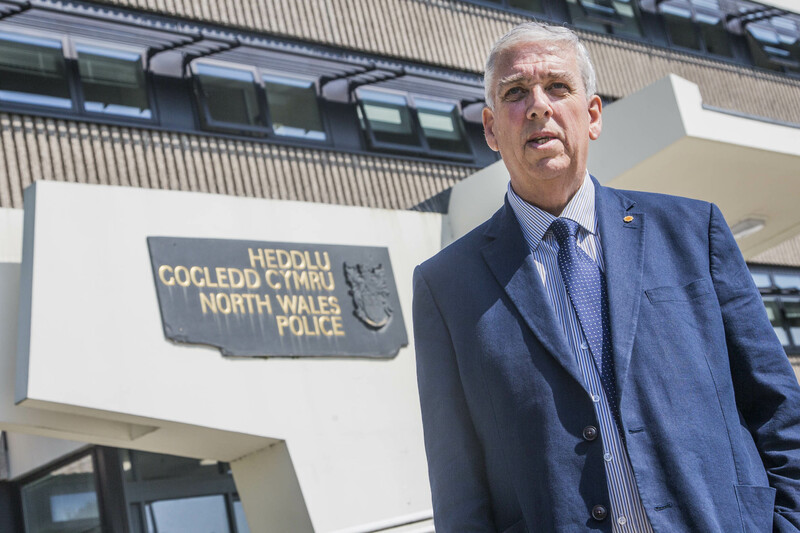 North Wales Police and Crime Commissioner Arfon Jones says the 7.74 per cent rise is needed to recruit 34 extra officers and six more staff to focus on tackling emerging threats like serious and organised crime, child sexual exploitation, cyber-crime, modern day slavery, domestic abuse and drugs gangs who prey on children and young adults. Mr Jones is seeking the backing of the North Wales Police and Crime Panel for the proposed increase at their meeting next Monday (January 28). The 40 new recruits will over and above the 90 officers and staff taken on since 2016 when Mr Jones, a former police inspector, was elected. At the same time, the force has just started redeploying officers and staff as part of a major reorganisation. As a result of the Operational Improvement Plan, there will be 30 additional front line investigators. An online survey carried out the commissioner showed that 51 per cent of the 1,877 council tax payers who took part were in favour of an increase of 37p or more – with a third of them supporting a much higher increase of 50p and above a week. The survey also showed “overwhelming support” for the priorities in Mr Jones’s Police and Crime Plan which sets out the strategy for policing North Wales. It all comes against the backdrop of £31 million in savings forced on North Wales Police since 2011 and a real-terms cut of £2.8 million in the annual grant from the Home Office for the coming year. This year the UK Government has given special dispensation to forces to charge an extra £24-a-year for Band D properties to combat the double whammy of austerity and the need for forces to pump more cash into police pensions because of the uncertainty surrounding Brexit. The planned hike in police precept element of the council tax in North Wales amounts to a total £19.98 for the year and would be among the lowest of all the 43 constabularies in England and Wales. It is understood that most commissioners are planning to opt for the full £24 increase. According to Mr Jones, the overall £154 million budget for 2019/20 was designed to deliver the priorities in his Police and Crime Plan. He said: “In putting together my blueprint, I was encouraged that my vision for improving the way the region is policed has the overwhelming support of the people of North Wales. “The online survey showed that 92 per cent of council tax payers want tackling organised crime to remain a priority and 91 per cent agree that keeping neighbourhoods safe is important, while 67 per cent want me to continue focusing on combating the blight of modern day slavery. “As well as consulting the public, I have had detailed discussions with the Chief Constable and his senior team who confirmed that a council tax increase of 7.74 per cent provides sufficient budget for the operational delivery of the policing service in North Wales. “I am confident that the proposed increase strikes a proper and prudent balance between affordability for council tax payers and ensuring North Wales Police has enough money to continue to be an efficient and effective force. “Four and a half per cent of the increase is needed just for a standstill budget and would mean that the force was unable to cope with the growing demand generated by new and emerging crime. “The nature of policing has changed hugely and we are facing new and increasing challenges so the force must evolve and adapt accordingly. Chief Constable Carl Foulkes said: “We have an ambition to be the safest place in the UK and the proposed budget will ensure we are able to meet the many challenges that lie ahead, not least because of the new and emerging crimes that we need to focus on. “Our communities still want to see visible and proactive police officers, and want the reassurance that we will be there for them when they ask for help. “But there are hidden crimes, such as cyber-crime and online exploitation, as well as major threats from so called County Lines – drugs gangs who operate across borders, with children and young people being coerced, groomed and threatened with violence to take part in illegal activity across the region.